A brief sampling of reviews and essays written for a variety of periodicals. BOMB magazine and the idea of an avant-garde. Writings on art, literature, music, cultural theory. Periodicals ranging from Washington Post to Log to n+1 to Brooklyn Magazine. My work attempts to close the distance between theory and praxis in terms of consumer guide-ism versus program criticism. 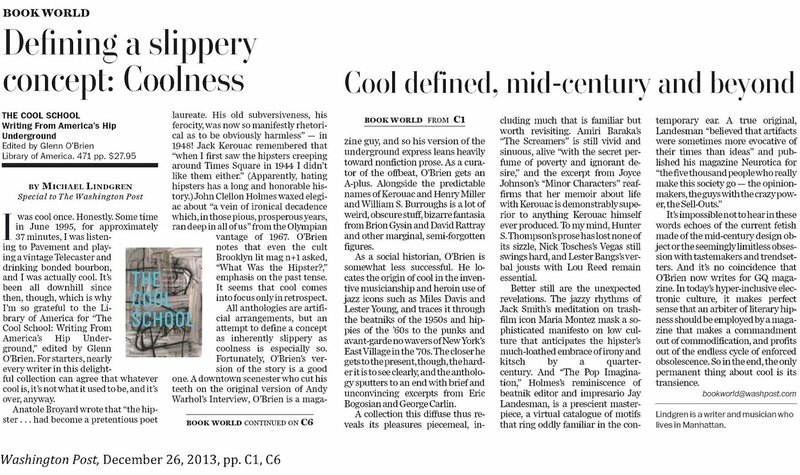 What it means to be ‘cool.’ Washington Post. Hopper and the written word; a marriage not made in heaven.